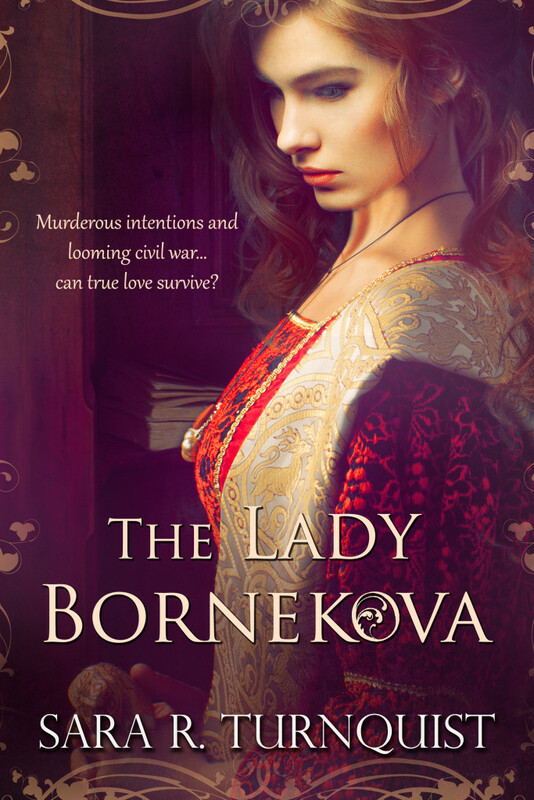 Today on the blog I am super excited to share with you an excerpt from Sara Turnquist's new historical novel THE LADY BORNEKOVA! Sara is currently on Blog Tour with HF Virtual Book Tours so be sure to check the schedule of stops out below. As part of the blog tour we also have a chance for one of you to win a $10 Amazon Gift Card! Enjoy the excerpt and good luck to all who enter! Karin's eyes fluttered opened, and she knew her hold on consciousness was firm; the darkness would not come for her again. She sent up a silent prayer of gratitude as she drank in the sights, sounds, and sensations around her. As she already knew, she was in her quarters at the hunting lodge. Someone had changed her into a nightdress, and her hair fell loose around her. The nightshift and her hair clung to her as if her vision of swimming had been more than illusion. Her eyes adjusted, and what had seemed like incredible light before was now dim to her sight. Dark drapes had been drawn, and she could just faintly make out the sunlight in the window beyond. How long had she been caught up in this strange sleep? It seemed like so many hours ago she had been in the meadow, but she did not trust her perception of the passage of time. She strained to listen for sounds beyond the doors to her bedchambers. There were movements in the hall, but how close or how far was difficult for her to distinguish. Testing the mobility of her limbs, she shifted to sit. Her muscles protested her movements, resisting but obeying with some hesitation. And so, with some effort, she was able to work her way into a sitting position. That was when she heard a noise outside her room. There were footsteps in the hall. And whoever was there came to her door. She could only manage to turn her head in that direction and watch as the knob twisted. Mary entered carrying a tray of tea and fresh damp cloths. Seeing her mistress awake and struggling to sit up in the bed, Mary almost dropped her tray, catching herself in time to save the cup of hot liquid. "Milady!" She rushed forward. "No, milady, let me help you!" She grabbed for pillows to prop Karin up to take the strain off of her aching muscles. Karin wanted to protest, but she couldn't deny how grateful her body was for the relief in effort. "Thank you, Mary," she croaked. "I have your tea, milady." Mary grasped the cup and held it over to Karin's mouth for her to sip. Karin reached up to take the cup from her. "I thank you for your help, but I am strong enough." "Of course." Mary relinquished the cup but insisted on patting down Karin's face and arms with the cool cloth. She was such a creature of habit, Karin mused. This must have been part of Mary's routine as well while Karin lay unconscious. Now that Karin was awake, it was wholly unnecessary, but her handmaiden only followed instructions given. "Could you open the drapes, Mary? I would so like to see the sunlight." Mary nodded and moved across the room. "How long have I been in here like this?" Her voice grew stronger. The warmth of the tea helped. "Seven days?" Her teacup rattled. Mary rushed over to help steady it in her hands. "Yes, you were quite sick for some time," Mary continued, turning away from Karin to continue her work around the room. She told Karin the story as if she were telling it for the hundredth time, "You were in a bad way when they brought you in, and no one could figure what had happened. When your father called for the doctor, he said it was poison." "Poison?" Karin brushed a hand across her forehead. Could it be true? 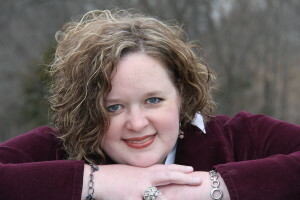 Sara resides with her family in Middle TN. Though she has enjoyed her career as a Zoo Educator, Sara's great love of the written word has always drawn her to write. An avid reader, she has been, for many years, what she terms a “closet writer”. Her travels and love of history have served to inspire her to write Historical Fiction. Sara has made several trips overseas to the Czech Republic for short stints in the summer over several years. Her time among the Czech people and the landscapes of the country inspired her and greatly influenced her work on her debut novel, The Lady Bornekova, set in the Czech town of Hradec Kralove. For more information please visit Sara Turnquist's website. You can also follow her on Facebook, Twitter, and Pinterest. To enter to win a $10 Amazon Gift Card, please enter via the GLEAM form below. – Giveaway ends at 11:59pm EST on July 31st. You must be 18 or older to enter. This cover is really striking! I love how the red of the dress is so vibrant! Czech history's a departure for me; sounds really interesting, thanks.